Cities are like organisms. They're the product of unthinkably complex forces, and they wax and wane based on more than just us humans. But that hasn't stopped humanity from trying to force them into being artificially — to sometimes disastrous ends. Last week, we looked at the "second Cairo" that Egypt plans to build 150 miles away from the current incarnation using investment from the UAE and other countries. It's a questionable scheme in many respects, but it's far from unique. 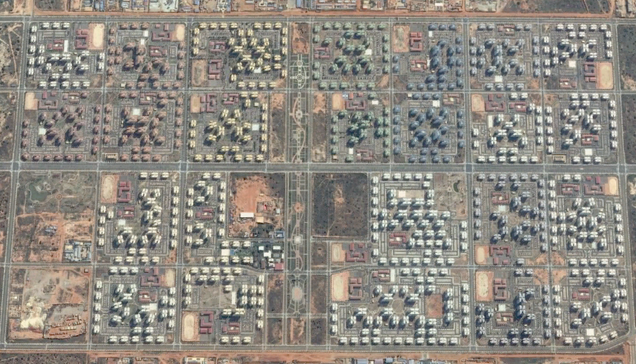 Plenty of other cities have been relocated or built from scratch over the years, in some cases with great success as these planned city satellite images from a few years ago prove. Yet city-building is a delicate thing: in more than a few instances, from North Korea's "propaganda village" to the abandoned and half-finished communities built in the American southwest just before the 2008 crash, these plans have resulted in planned communities without any actual inhabitants. 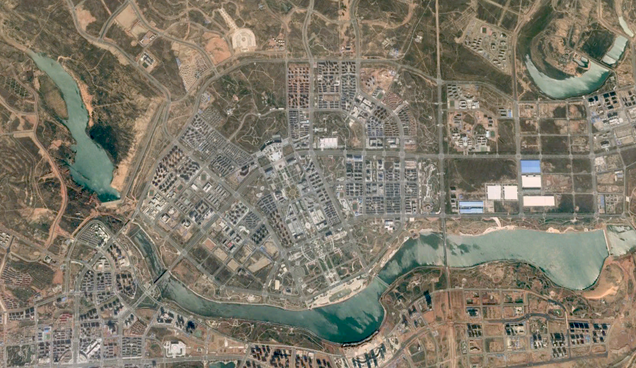 You've probably heard of Ordos, the planned city in Inner Mongolia that's been featured widely as a "modern-day ghost town" built with the influx of money from the massive coal deposits below the city. 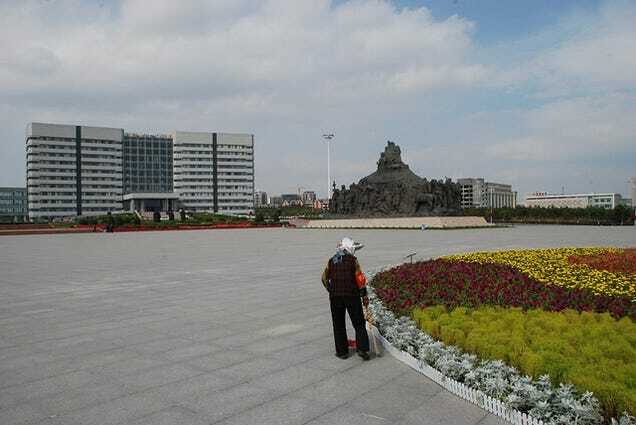 Today, the real-estate situation in Ordos has turned macabre. Video billboards along the city's major roadways display mug shots of fugitive developers who have skipped town, fleeing their debts. There are rumours about the dynamiting of buildings in Kangbashi: about owners of unoccupied apartment towers who hope to create value through destruction, reselling freshly cleared land to new investors. 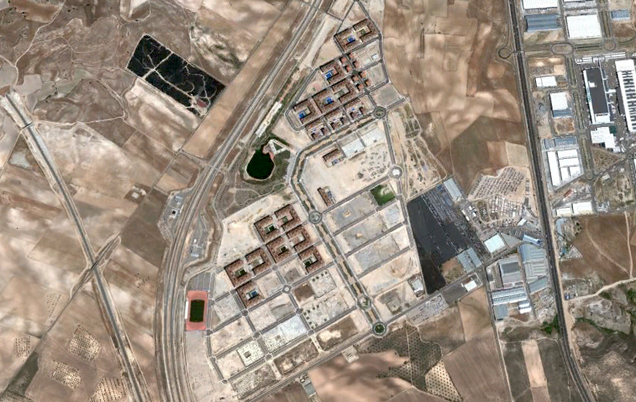 Residencial Francisco Hernando isn't exactly a city; it's a community on the outskirts of the city Seseña proper, in Toledo, Spain. 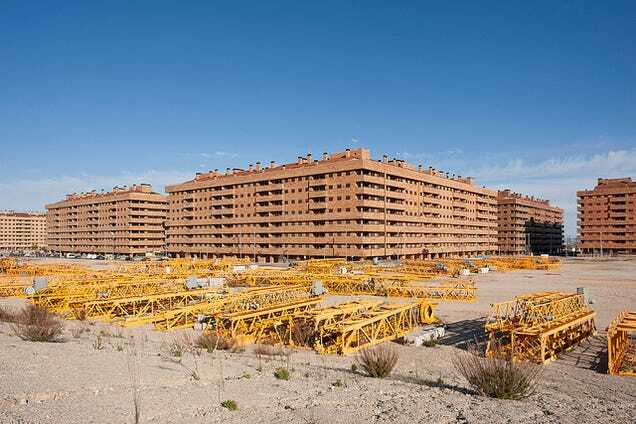 It's one of dozens of "ghost towns" that were built at the climax of the property boom just before the crash of 2008, which hit Spain particularly hard. But then, some terrible facts came to light: there are no urban infrastructures built in the new city; no proper roads connecting it to Madrid's city, no network of public transport planned and more alarming even, no legal water distribution:the water was being stolen by a second company hired by [the developer] "El Pocero"
Today, it's an empty eyesore edged by a tire dump that represents the types of developments that drove up speculation within Spain and contributed to its crisis. 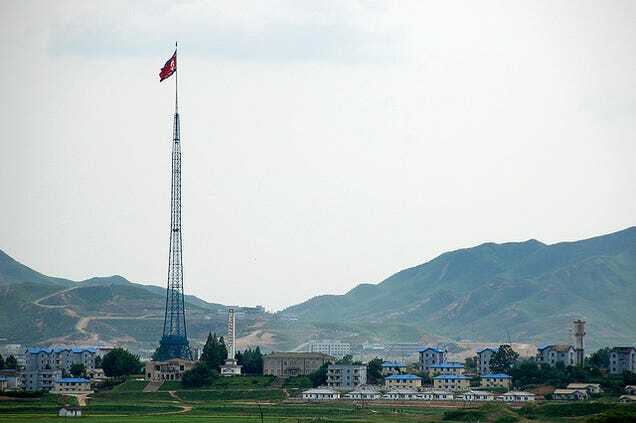 The North Korean "town" of Kijong-dong is the perfect example of urban planning as political weapon; whether or not that weapon works is another issue entirely. 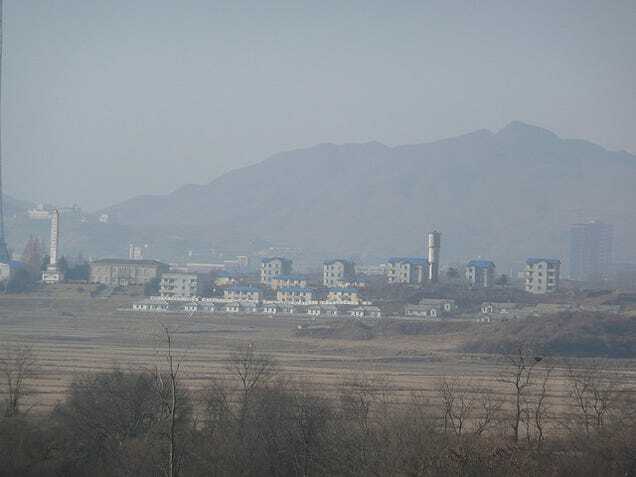 South Korea calls it "Propaganda Village," a purpose-built city that was constructed to give the appearance of normalcy and productivity to southern observers. 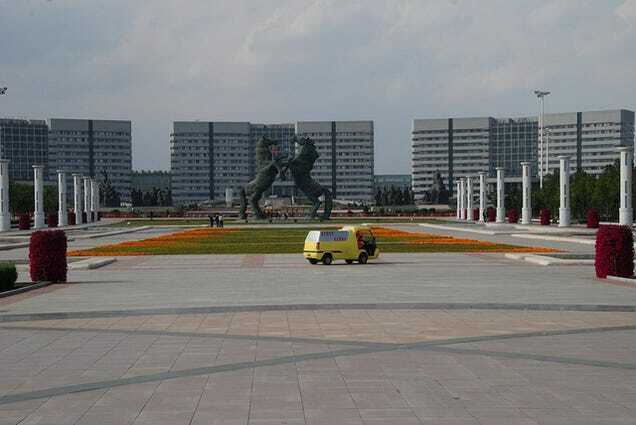 "It's a lie, a huge Potemkin village designed to give North Korea the appearance of modernity," as The Washington Post's Kevin Sullivan wrote after visiting in the 1990s. If you're looking for a cautionary tale for Egypt's new Cairo, look no further than the new city of Kilamba in Angola. Since the country sitting on a massive oil reserve, China is investing heavily in its infrastructure through its state-owned investment wing, China International Trust and Investment Corporation. Kilamba is the product of one such investment. 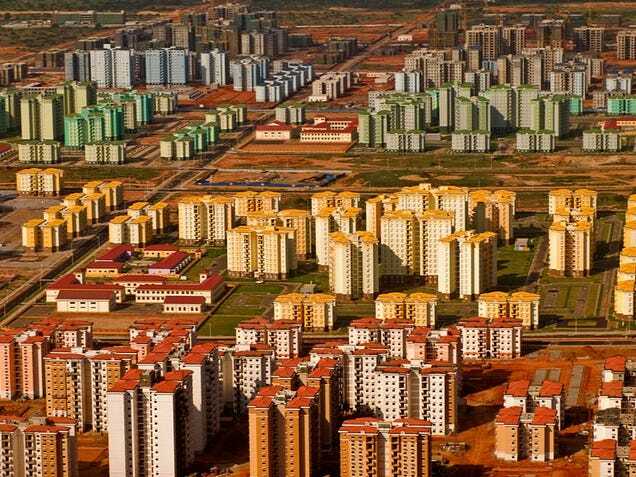 Built outside of Angola's current capital, it's a city designed for 500,000 people: row after row of hundreds of mid-height apartment blocks, painted in friendly pastel hues, dotted with stores, schools, and commercial areas. Yet Kilamba wasn't quite as successful as planned—because hardly anyone could afford the apartments. 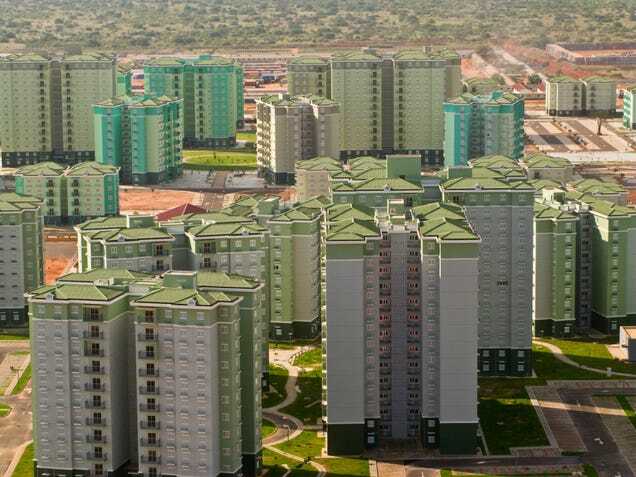 The BBC reported in 2012 that the city was a ghost town, empty of inhabitants, since the mortgages needed to buy any of the units were far out of reach for most Angolans. The city is apparently on the upward swing after changes to the pricing, but it's a good example of a scenario that Egypt — a country with a housing shortage for low- to middle-income people but a glut of high-priced units – could face if its plan to build an entire new capital doesn't offer a more diverse range of housing. Images: Carregado por Darwinius. Lead image: Images: Bert van Dijk.